Currently, whenever we have a reference type, it's always nullable by default. If I don't assign any value to a reference type, it defaults to null. Furthermore, as a programmer, there is no way to specify that for this specific reference, I want to disallow nulls. 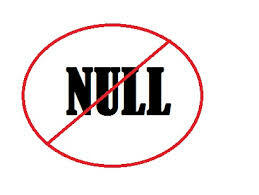 As a result, these nulls do sneak into our applications and cause the famous Null reference exceptions. Tony Hoare, the guy who invented Null, called it his billion dollar mistake. I am pretty sure, it has costed more than that by now! This feature attempt is to reduce these null reference exceptions. The biggest hurdle is, if C# 8 disallows nulls on reference types completely, then it's not backward compatible. So this feature is going to be an opt-in feature. The idea is that slowly people will adopt this feature and as more and more code becomes compatible to this feature, they can completely turn off the switch for default nulls sometime in future. If I don't put "?" then nulls are disallowed. Assign it something other than null and expect that null will never be assigned to this reference. 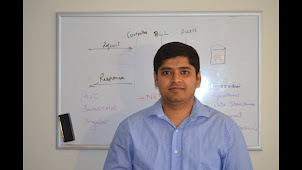 This way you are consciously making decision of allowing or disallowing nulls for these reference types too. With that said, with the last syntax above, there are ways to still assign nulls to this reference indirectly at run time and still get Null reference exception. Not everything can be known at compile time. But the idea is that the exception will become less common. The quality of content is fine and the conclusion is good i would like to share Nexter this blog here for mroe news and information by the way Thanks for the post.